2016 was a busy year for Advanced Driving School events. 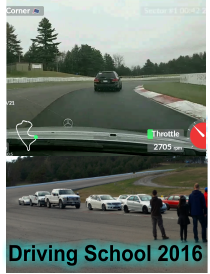 With 5 events at Canadian Tire Motorsport Park (Mosport), one trip to Watkins Glen in the Finger Lake NY region and one to Calabogie (near Ottawa) there were some great driving opportunities. In addition for anybody that has grown through the school to S-level can apply to attend the annual Racing school. Section Sports Director Peter Spitzer attended all the events and here is his report. coming out to the events. We did get a good set of pictures with Ray learning how to get more out of his über-cool E63 Estate. Season start was also the beginning and end of my new-to-me previously enjoyed addition to my garage. 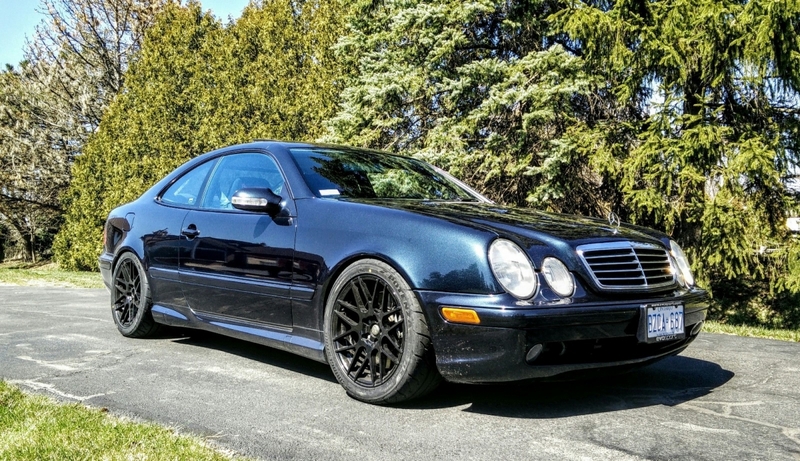 I found the 2001 CLK55 AMG in California and with only 62K Miles it seemed like the perfect car for these events. This excitement was short-lived as on the first day out the engine lights announced the painful beginning of an engine self destruction and a 5 month ongoing process to get it back in shape. A crushed piston was the result most likely caused by detonation which then scratched the cylinder wall beyond possible repair. A replacement engine was installed but tuning to prevent a similar incidence took most of the summer to complete. After the Saturday session closes out the group goes for a “track walk” to learn from the days experience and see the track and surface close up. Well, while it is call “track walk” it is really a cruise from one corner to the next to get a close look. Derek Hanson the chief instructor provides a fantastic insight on the track, how to use it and how it applies to driving skills. In June MBCA and Lotus organized a combined performance driving school day on the Watkin Glen International Raceway. This was the first season after all new track surface was applied and provided amazing grip. Gilbert led the trip down through upstate New York and added a beautiful drive down to the event. Advanced Driving School is an amazing opportunity to improve driving skills, learn and enjoy your car and all that on a controlled track. See you out there at the next event and in 2017!